New Jersey Legislature Clears Gov. 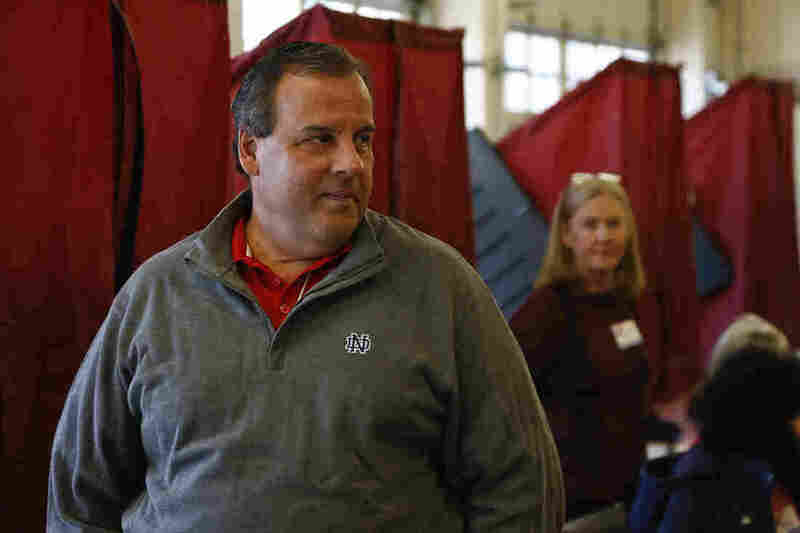 Chris Christie In Bridge Scheme : The Two-Way The report, however, found that two former aides acted with "perceived impunity" when they ordered the shutdown of some lanes of the George Washington Bridge last year. An investigation by the New Jersey Legislature has cleared Gov. Chris Christie in an apparently politically motivated scheme that closed some lanes of the George Washington Bridge last year, leading to major traffic jams and a political firestorm. The investigation could find no evidence that Christie was involved in the scheme. "Investigators found no conclusive evidence whether Christie was aware or not of the closures last year, but they say that two former Christie aides acted with 'perceived impunity' and with little regard for public safety when they ordered the lanes closed, according to a 136-page interim report by a joint legislative panel that was obtained by news organizations Thursday night. "A report commissioned by Christie previously cleared him of any wrongdoing and a lawyer for the governor said in a statement Thursday that the report corroborates that investigation.
" 'The Committee has finally acknowledged what we reported nine months ago — namely, that there is not a shred of evidence Governor Christie knew anything about the GWB lane realignment beforehand or that any current member of his staff was involved in that decision,' Christie attorney Randy Mastro said in a statement." If you remember, the scandal threatened Christie's presidential ambitions and culminated with Christie apologizing during a long news conference in January.